Wildflowers on the side of I-35 near downtown Austin on Thursday. 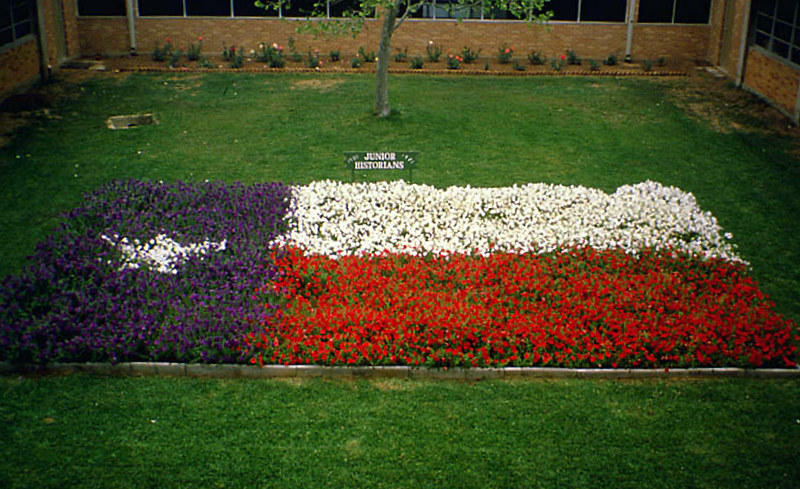 In much of Texas the sun is out, flowers are in bloom and you might be getting that springtime feeling. However, it’s still mid-February and it’s not your imagination: This has been another very warm winter. “It feels like this year [plants are blooming] are a week or two earlier than average,” says Andrea DeLong Amaya, director of horticulture at the Lady Bird Johnson Wildflower Center. Amaya says she's been getting calls about early blooming bluebonnets and trees that are starting to "leaf-out" a bit earlier than expected. That's because it has been a hotter than average winter. Average temperatures across the state have been 2 to 4 degrees above normal since October. That’s warmer by more than a degree from previous records, according to state climatologist John Neilsen-Gammon. He says a La Niña weather pattern helped make this a warm winter, but adds that climate change also plays a role. 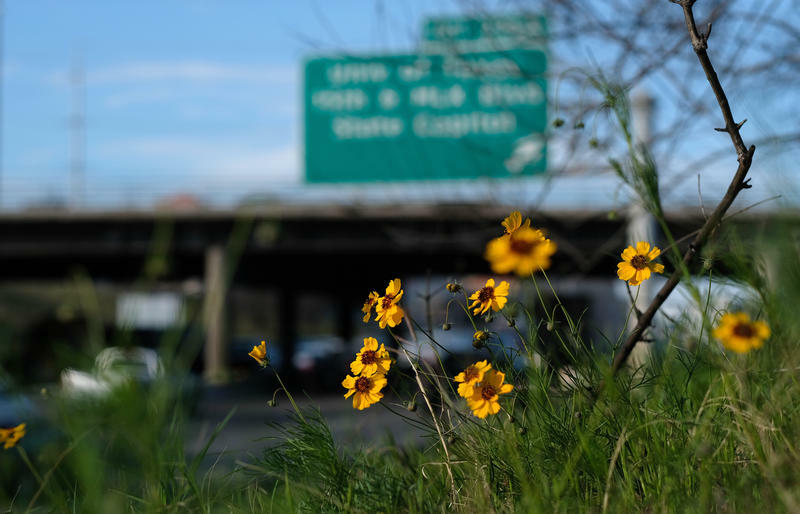 But, it’s affecting more than just flowers in Austin, says Danielle Sekula with farmers for the Texas AgriLife extension in the Lower Rio Grand Valley. She says usually farmers start planting cotton during the second week of March. This year, it's different. “If anything, I probably already have quite a few guys that have started planting cotton just because it has been generally warm," she says. In North Texas, wheat season has come early, too. Neilsen-Gammon says La Niña has given way to a neutral pattern for the summer. That usually means average temperatures, but, given the way things are going, it could be hotter. This week’s Wayback Wednesday examines the state’s beloved bluebonnet, though not the "blue" so much as the other hues that have graced the petals of Texas' state flower. The wildflower comes in all manner of colors – blue, white, pink, red and even maroon, which Longhorn fans became intimately aware of last year. But the roots of these bluebonnet variants stretch back over 30 years, when a young, if not naïve, Texas A&M vegetable specialist took up the challenge of creating a Texas flag solely comprised of the state flowers. “Made sense — so I didn’t think to question it. And then when we had a state trooper come in, he mentioned it…I’ve heard it from so many credible sources, so it just kind of made sense, and I never thought to question it,” says Crunk, a teacher at Mills Elementary School. 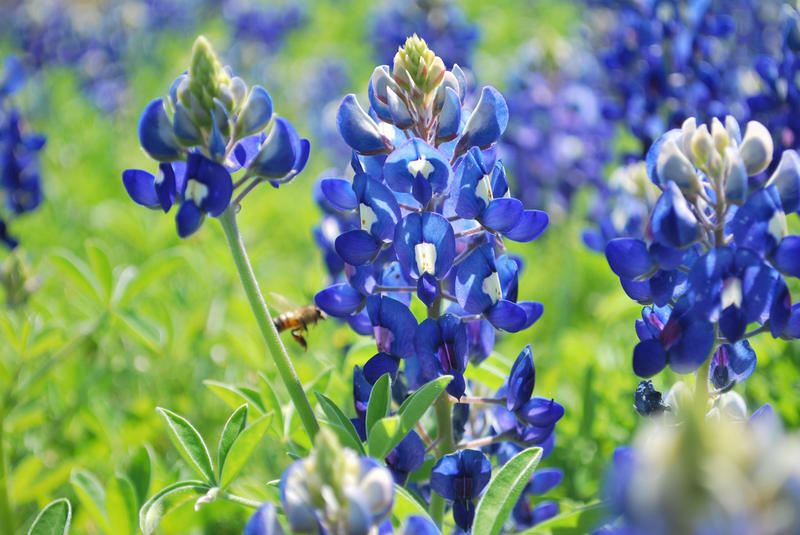 With spring in full swing, it's time for wildflower pictures – including photos among Texas' iconic state flower, the bluebonnet. 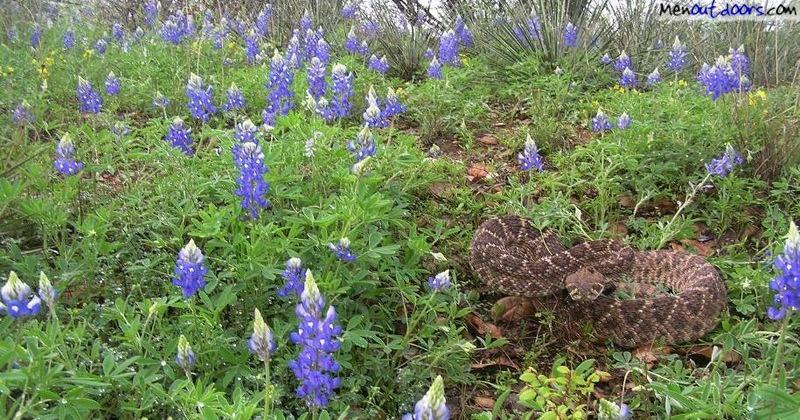 But something's taking the bloom off this wildflower season: images of snakes among the flowers.